Police have released a CCTV image of a man they want to speak to in connection with a sexual assault on a 16-year-old girl. 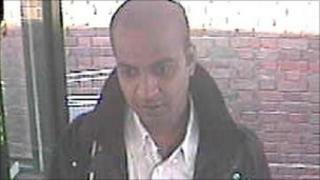 Kent Police said the teenager was assaulted by a man on the 116 bus from Hempstead Valley shopping centre. Officers said the girl was not injured in the incident on 29 November. They have appealed for anyone with information about the assault to contact the force. Det Con Mark Silk said: "We believe that this man may be able to help with our ongoing enquiries, so we are keen to hear from anyone who may know who he is. 'We would also like to speak to anyone who was on the bus at the time of the incident who may have witnessed the incident take place or be able to provide us with additional information which will assist us with our investigation."